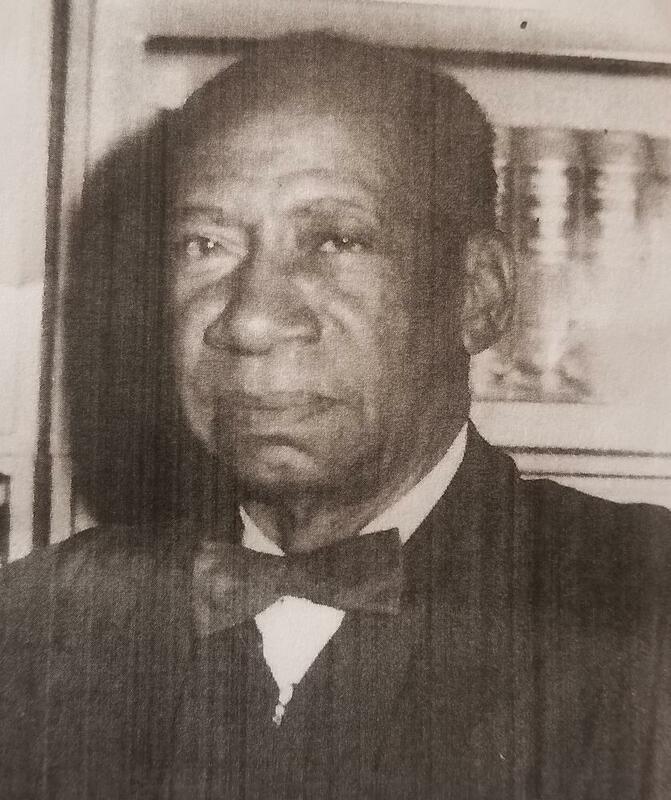 In 1965, Cyril Michael became one of the first four judges to be elected in the newly instituted Municipal Court systems established in the United States Virgin Islands. Cyril Michael was born on the Caribbean island of St. Thomas, Danish West Indies to Andre and Wilhelmina Michael on January 22, 1898. He received his early education at St. Peter and Paul Roman Catholic parochial school in Charlotte Amalie, St. Thomas and developed a love of music and instruments at an early age. His parents acquired a private tutor, and Michael became proficient playing the piano, organ, violin and trombone. At the age of fourteen, Michael joined the Adams Juvenile Band, a band comprised of local island youth. His main instrument became the trombone, and in 1924, the band toured with the U.S. Naval Band, becoming its first youth band composed of all African Americans. Michael served as first musician and often bandmaster. The band served as an opening for enlistment into the armed forces. Michael served in the US Navy for sixteen years before his retirement. He was soon appointed as secretary to the US District Attorney for the Virgin Islands, which prompted Michael to take law classes at LaSalle Extension University in Chicago, Illinois. In 1947, Judge Michael was admitted to the U.S. Bar Association, and in 1954, he was the last named Judge of the Police Court, a system established after the Danish transfer/ American purchase in 1917. Judge Michael was the first Judge to preside over the Municipal Court system of St. Croix, established in the U.S. Virgin Islands in 1957. He was also the first Judge to preside over the Municipal Court System of the U.S. Virgin Islands, established in 1965. Judge Michael career spanned over three decades before he officially retired from public service in 1976. Throughout his tenure, Judge Michael held the positions of acting reporter of the Police court, court interpreter, law clerk to the judge of the District Court and U.S. Commissioner to the Virgin Islands (1955-1965). He held offices in the Puerto Rico Council, he was a Charter member and Commander of American Legion James H. Oliver Post #90, Boy Scouts of America, and he served as President of the Fleet Reserve Association. Judge Michael’s life and accomplishments are listed in many books and as a devout Catholic, he contributed many writing and research papers to religious institutions. His list of memberships include the National and Federal Bar Associations and he was licensed to practice in the U.S. Virgin Islands, the Circuit Court of Appeals, 3rd Circuit and the U.S. Supreme Court. Judge Michael also became an honorary Assistant Attorney General of Georgia in 1954 and Colonel, Honorary Order of Kentucky, 1971. Judge Michael was married to the former Elizabeth Davis. The couple had three children together; Dale, Elba and Betsy Mae. Judge Michael died on March 5, 1978 on St. Thomas. He was 80 years old. Shortly after his death, the Virgin Islands legislature approved Act 4165 in 1978, to rename the street Bjerge Gade in the capital city of Charlotte Amalie, St Thomas Virgin Islands, to Cyril Michael Street. Ruth Moolenar, Profiles of Outstanding Virgin Islanders, (Dept of the Gov of the USVI, St. Thomas, USVI, 1992); “Funeral Booklet for Cyril Michael,” George A. Smathers Libraries, University of Florida Digital Collections, http://ufdc.ufl.edu/CA01300294/00001/1x.